F. Atlee Dodge Aircraft Services, LLC products are top of the line, and can be shipped anywhere in the world. Click a link to the left and see just a small sampling of what we have to offer. If you don’t see what you need, give us a call and experience our knowledge for yourself. F. Atlee Dodge Aircraft Services is the Alaskan McFarlane Aviation Products Distributor. McFarlane Aviation Products, Inc. is well known for their superior FAA-PMA Replacement parts for Cessna, Piper, Grumman, Beechcraft and Ag Cat Aircraft. Please call us for parts information and pricing. All prices subject to change. Please, contact us for prices and availability. P/N: 3140-516-L (left hand) and 3140-516-R (right hand) Price: $3,125 each side Eligible On: Piper PA-12, PA-12S, and PA-14 STC: SA5781NM FAA/PMA: Supplement 6 Weight: 12 lbs. per pair, empty Material: Aluminum Purpose: Allows up to 61 gallons of fuel capacity. Installation: Please see Installation Instructions. Misc. Information: Must install both left hand and right hand tanks. Fuel system sight gauge P/N 3286 is required for installation. P/N: 3169-1A Price: $355 each Eligible On: Piper PA-18 Series Aircraft STC: SA2303NM FAA/PMA: Supplement 1 Weight: 12.5 oz. Material: Aluminum Purpose: Direct replacement for Piper P/N 10725-00. Installation: Same as stock Piper part. Misc. Information: Heavy duty light weight design is approximately 9 oz. lighter than stock Piper part. P/N: 3310 Price: $52.50 each Eligible On: Piper PA-18 Series Aircraft STC: N/A FAA/PMA: Supplement 1 (covers mixture) and Supplement 1 (covers Fresh Air) Weight: 6.5 oz. 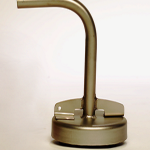 Material: Stainless Steel Purpose: Direct replacement for Piper P/N 16775-00. Installation: Same as original stock part. Misc. 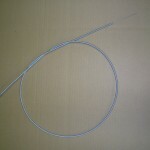 Information: Cables are 60 inches in length and can be cut to size. Please see our selection of knobs here: Control Knobs. P/N: 3169-2 Price: $355 each Eligible On: Piper PA-18 Series Aircraft STC: SA2303NM FAA/PMA: Supplement 1 Weight: 13 oz. Material: Aluminum Purpose: Direct replacement for Piper P/N 14211-00. Installation: Same as stock Piper part. Misc. Information: Heavy duty light weight design is approximately 9 oz. lighter than stock Piper part. P/N: 3258-L (left hand) and 3258-R (right hand) Price: $3,125 each side Eligible On: Piper PA-22-150 and PA-22-160 STC: SA00092SE FAA/PMA: Supplement 1 Weight: 12 lbs. per pair, empty Material: Aluminum Purpose: Allows up to 61 gallons of fuel capacity. Installation: Please see Installation Instructions. Misc. Information: Must install both left hand and right hand tanks. Fuel system sight gauge (P/N 3286) is required for installation. P/N: 3140-60R Price: $165 each Eligible On: Piper Aluminum Welded Fuel Tanks STC: N/A FAA/PMA: N/A Weight: .4 lbs. Material: Stainless Steel Purpose: Allows filler neck to be repaired in the field with out welding. Installation: Install with fuel tank sealant and CherryMAX rivets. Misc. Information: Fuel tank sealant not included.